Whether your Service Bureau is a team of one or 50, there’s one thing that’s absolutely critical to your success: getting clients. Without a steady inflow of clients in your pipeline, you run the risk of your sales drying up or relying too heavily on a few clients to keep your doors open, both of these situations are huge red flags for any business owner. We see smaller service bureaus face a common challenge; they are great at producing parts with Additive Manufacturing; they are very knowledgeable about the industry, the latest advances in technology or materials; they specialize in a certain niche or sector. But! When it comes to finding new leads, building a client base, and developing new business, they struggle. Indeed, it’s a common problem with many small business owners and entrepreneurs; they are too small to afford a full-time business developer and too small to afford NOT having one. At the risk of stagnant growth, having someone who is pursuing new leads and business opportunities is crucial for smaller service bureaus. When it comes to business development for the Additive Manufacturing (AM) industry, there are some unique challenges and common questions service bureaus face when growing sales: Where do I find more leads? How can I beat out my competitors? How can I ensure a seamless process for clients? How can I encourage repeat business? 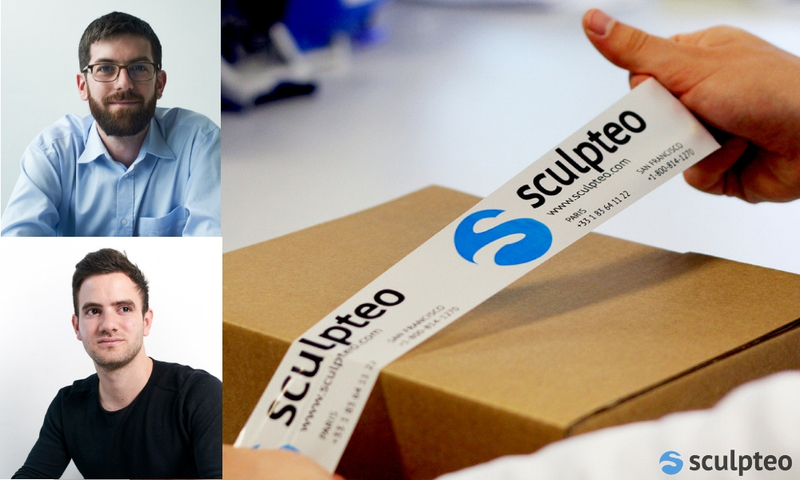 In this blog, we interview Sculpteo’s Business Development team to obtain their insights. With clients coming from Europe, North America, Asia, and Africa, the team has special insights into developing an effective strategy to adapt to every client in the 3D Printing market. Get their practical tips to answer your AM business development questions, and learn how you can implement these strategies for your service bureau regardless of your team size. Scouting: The very first stage of any sales process. This is the part where business developers can take advantage of their organization and its 3D Printing network to get contacts through trade shows, direct phone calls, marketing channels, and other techniques. Identify the needs of your clients: 3D Printing is not always the best option when it comes to mass production since the cost of AM production stays almost at the same regardless of the production quantity. While there are exceptions to this view, we know that it is generally more beneficial and efficient for clients to use 3D Printing for prototyping purposes. For clients who are not familiar with Additive Manufacturing, you need to convince them of two main benefits: it’s generally faster and it’s usually cheaper (depending on quantity of course). To make a good first impression, you need to be able to demonstrate these benefits right away, with fast and accurate quotation and providing an honest evaluation of what you can do for them with qualifying. Qualifying leads not only helps you identify where you should focus your efforts, but also helps you give the best advice, which builds trust and credibility. There will be times when Additive Manufacturing is not the best method. Rather than being the sleazy used car salesman, and selling a lemon just to get a quick sale, you are honest about this and you show credibility and expertise in offering the best advice. While it might not lead to a sale this time, you stay “top-of-mind” the next time they need AM and build a long-term relationship. 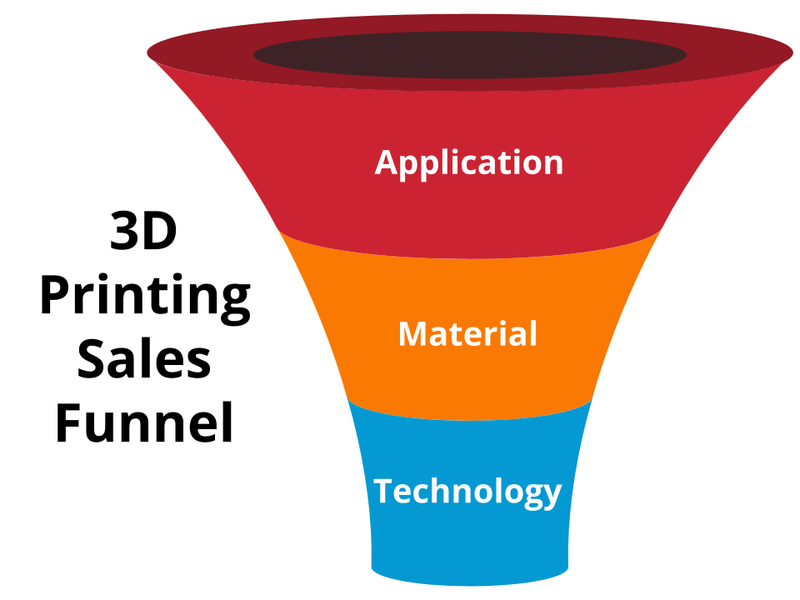 When it comes to qualifying, Jean recommends using the 3D Printing Sales Funnel. First, determine the application of the parts the client wishes to produce. Consider technical factors such as aesthetic, mechanical, chemical, and thermal properties. This is where you need to be objective and determine if your services can meet the technical requirements of the project. Second, determine if you can offer a selection of materials that satisfies the function, finish, and budget? Can you produce flexible parts, sturdy and rigid parts, or highly detailed components? Third, determine if you have the right AM technologies to produce the parts according to specifications. Does your factory have the technology in place? Can you produce in plastics, metal, or resin? Will you need to contract out? Depending on the desired finish, function, and budget, you need to evaluate if you can make an offer that will be both competitive and profitable. If your lead’s requirements fit all three of these questions, you have a qualified lead! Now what? Now that you’ve demonstrated that you can produce what the lead needs, you need to show that you can do it faster and cheaper than their current methods. This requires conversations with the production team, a method of calculating the cost, and preparing the quotation. Having the right tools in place that facilitate communication between these different roles and creates accurate quotations is critical. Sculpteo uses their own internally developed tool: Fabpilot. With automatic file analysis and repair, cost calculation, and a quote builder, the sales team can independently prepare an offer for the lead while also sharing details of the project with the production team to benefit from their expertise and determine delivery. Being able to do this quickly, shows potential clients how much you value their time and that you are working to earn their business. As competitors grow in the AM business, it’s crucial to set a standard of service that defends you against a competitor simply undercutting your price. Now that you’ve won a new client, it’s critical to pay attention to ensure you can deliver on your promise. As a business developer, you are the first person the client will contact if there’s an issue with payment, delivery estimation, or quality. They know you and they trust you, passing them on to an account manager or leaving them without updates is the best way to lose a client for life. A successful AM sales process is a result of a good collaboration of several team members from different departments including business developer, account manager, 3D printing technician, post-processing team, shipping, and accounting. Effective communication among team members is extremely important as everyone needs to have the same information in real time and ensure clients get what they expect and what was promised. Once again, the Sculpteo team relies on Fabpilot to have an end-to-end view of the production process and to be able to give accurate and timely information to the client. If there is an issue with the 3D file or a bottleneck in post-processing, the account manager needs to be notified ASAP so that they can be proactive about dealing with the client and finding a resolution. – Be present for clients: whether it is about answering emails or phone call on time. Make sure that your sales team provide clients with guidance and support, follow the orders, and keep them informed about the process of printing parts. It is crucial to show your clients that they are your number one priority. – Ask for feedback: stay close to your clients and make sure that they are satisfied with your service before it is too late. Ask them questions such as what to improve from the last prototypes, see if the service or designs can be made better. It is also a way to remind them about your brand and service. – Create a need for your clients: “Customers do not always know what they want” Ideally, business developers should always be ahead of the industry and keep up with 3D printing news to inform clients about new technologies, materials, and other developments which could benefit their business activity. By giving good advice, you have a strong position to present new opportunities for business. What challenges do you face in finding and closing deals at your Additive Manufacturing service bureau? Take a look at Fabpilot’s end-to-end solution for AM service bureaus with a free 15-day trial.